FRESNO, Calif. (KFSN) -- The Fresno State football team continues to climb in the college football polls. On Sunday, the Bulldogs came in #16 in the AP Top 25 poll after previously being ranked #20. They also move up to #17 in the Coaches Poll after last week's #23. The Bulldogs await the latest change in the College Football Playoff rankings which will be released Tuesday night. Fresno State was ranked #23 last week, but with teams ahead of them losing (Texas A&M, Texas, Iowa and Utah), the team is expected to move up. 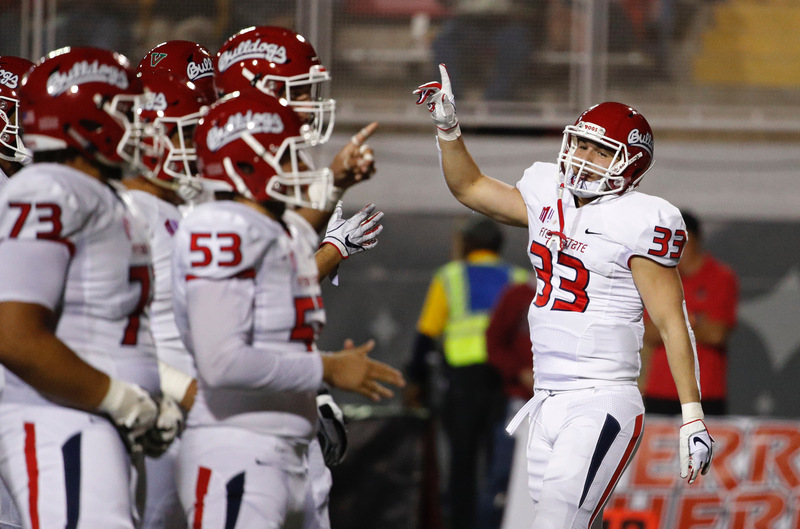 Fresno State (8-1, MW 5-0) is coming off a 48-3 win at UNLV and is the fourth time in their five conference games the Bulldogs' defense has held opponents under 7 points. The Bulldogs now get ready for a Friday night matchup with Boise State (7-2, MW 4-1). Kickoff is set for 7:15 with the game broadcast on ESPN 2.